Delicate notes of peach, lime, spring moss and a dash of mint open the nose of this Riesling. The steely acidic backbone is balanced by a supple grace in the mouth. Sweet is almost an afterthought, yet clearly a deliberate one. 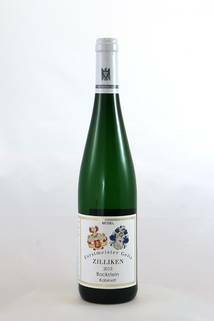 Though the playful, rash nature signals that this Riesling is in no rush to grow up, it remains very aware of its complex potential and what it is destined to someday become. Best served as an aperitif, with sashimi or lobster.